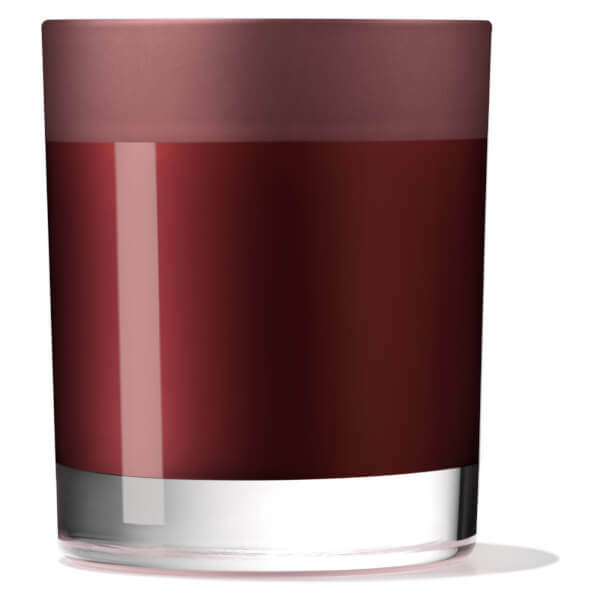 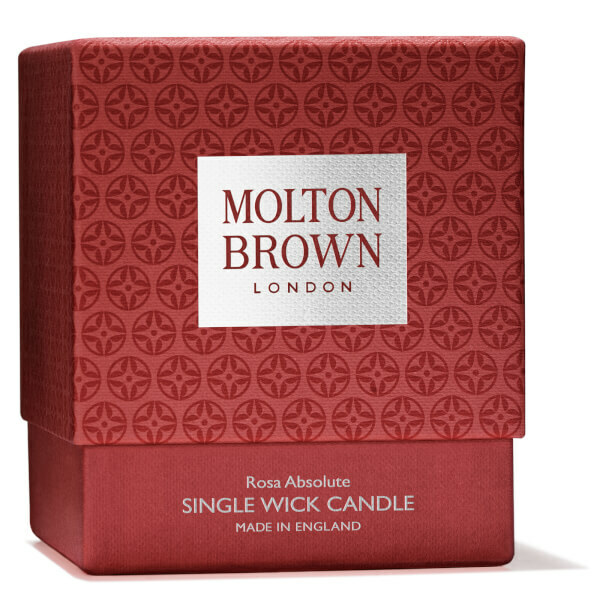 Infuse a mysterious, intoxicating fragrance into your abode with the Rosa Absolute Single Wick Candle from Molton Brown. 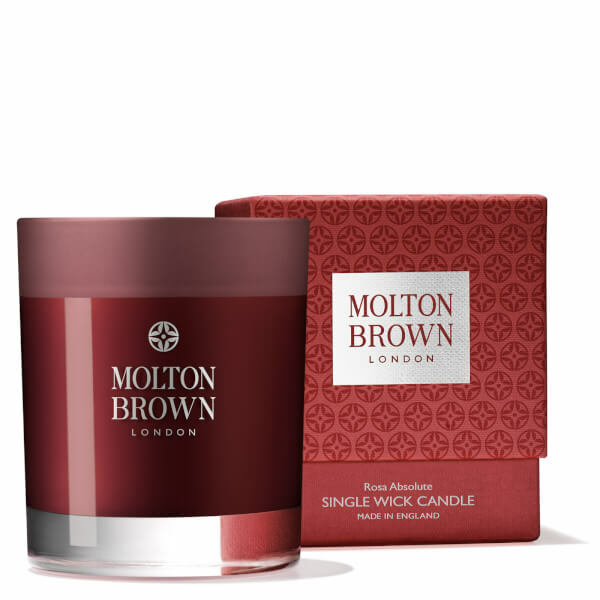 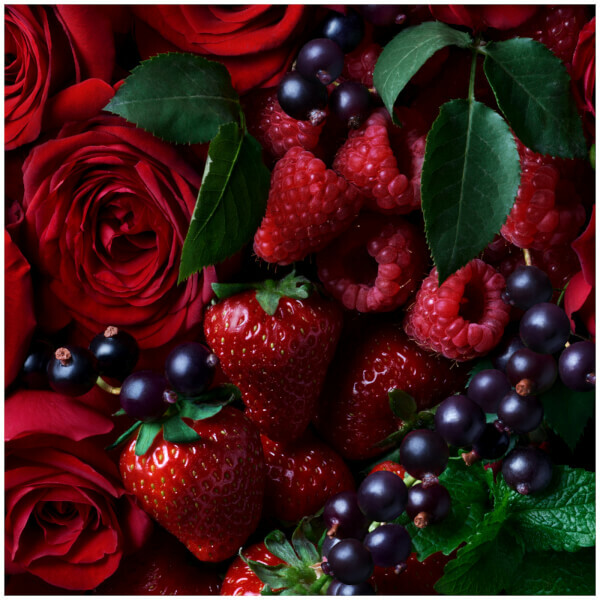 Presented in a deep red container, the stimulating candle blends notes of sweet Blackcurrant and irresistible Raspberry with voluptuous Rose, Violet Leaf and Geranium to create a sense of passion and romance. Bold Patchouli, Labdanum and creamy Vanilla form the base. 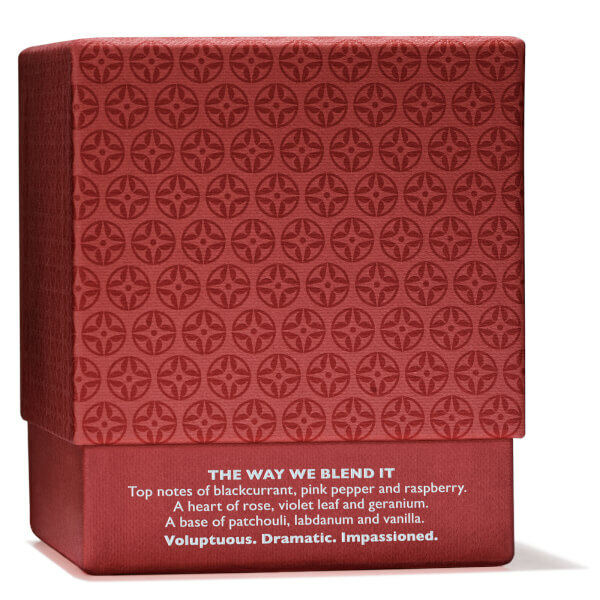 Top Notes: Blackcurrant, Pink Pepper, Raspberry. 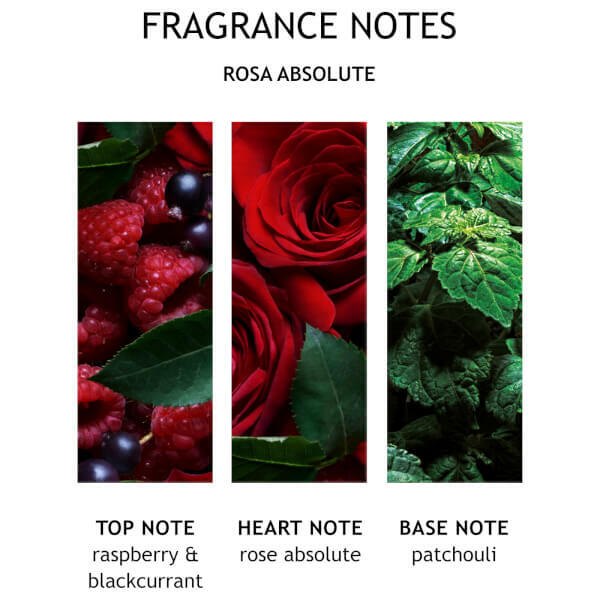 Heart Notes: Rose, Violet Leaf, Geranium. 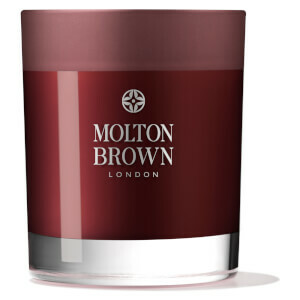 Base Notes: Patchouli, Labdanum, Vanilla.